Combined with the 22' x 12' x 10' PowerAlley Home Batting Cage, BaseHit and PowerAlley become the most affordable real baseball batting system ever developed! PowerAlley Home Batting Cage measures 22' X 12' x 10' and makes it possible to hit live pitches at home. BaseHit and PowerAlley connect together with the built-in connection harness. This allows baseballs into the cage, but they won't fly out. Product was priced well, shipped quickly and arrived in good condition. 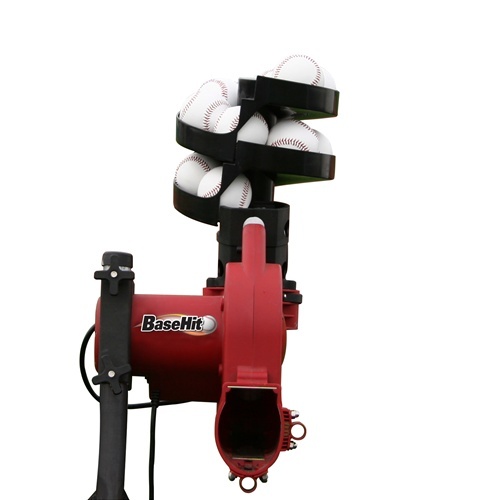 Would use Pitching Machine Pro in the future if I want to upgrade my batting cage.